Obagi CLENZIderm M.D. Pore Therapy 5oz. Facial toner that helps purifies pores and leaves your complexion completely clean. Contains Salicylic Acid. Even the best cleansers can sometimes leave behind dirt, oil, makeup and debris deep within pores. 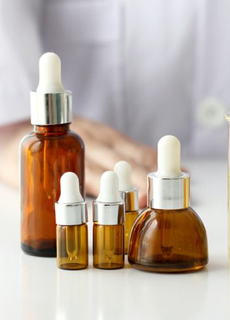 This debris can wreak havoc on your skin and aggravate conditions such as acne. 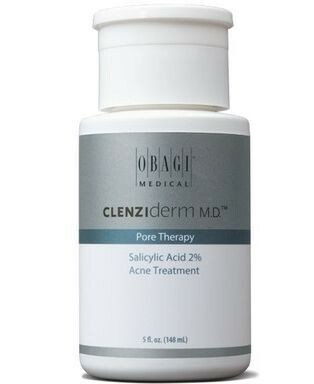 Obagi CLENZIderm Pore Therapy is a facial toner that helps purifies pores and leaves your complexion completely clean. Exfoliating ingredients also remove dead skin cells that clog pores and prevent the complexion from properly healing. Using this toner after your cleanser will allow your acne treatment products to absorb more easily into the skin for improved results. The complexion appears refined and pores appear less noticeable with Obagi CLENZIderm Pore Therapy. Keep your skin clear of blemishes and breakouts by adding this facial toner to your acne skin care regimen. 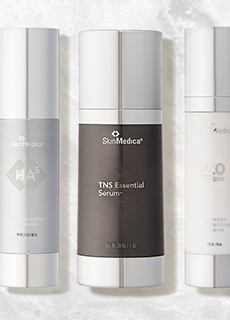 You're reviewing: Obagi CLENZIderm M.D. Pore Therapy 5oz.